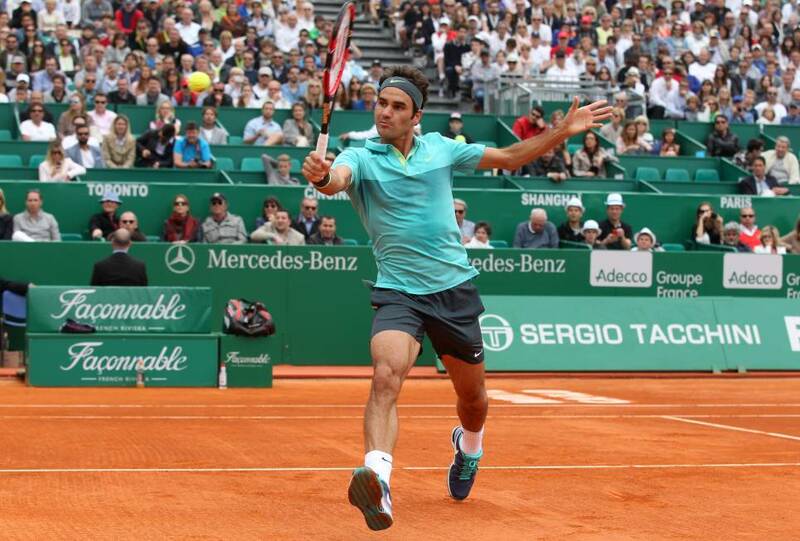 World number two Roger Federer was beaten 6-4, 7-6(5) by local favorite Gael Monfils in the third round of the Monte Carlo Rolex Masters on a bad day for the Swiss which also saw Stanislas Wawrinka exit on Thursday. “It was not the best end to the match,” said Federer. “I should have done better with the break up in the first. I think I did a good job to hang around the second set. I also had chances of my own. The Frenchman imposed early and, despite a strong effort to level the match from Federer, Monfils reeled off four straight points down 3-5 in the tie-break to clinch the victory in one hour and 44 minutes. The World No. 18 hit 22 winners to Federer’s 17, while the Swiss struggled with 38 unforced errors and could only capitalise on one of his three break point opportunities. A four-time finalist in Monte Carlo, Federer was looking to join a small group of players who have won 200 or more ATP World Tour matches on both hard and clay courts. The only other three players to have hit 200 or more wins on hard and clay courts are Rafael Nadal, David Ferrer and Tommy Robredo. Federer has changed his schedule this season to allow more time for training and was not expecting to peak early on the dust. His quest for a second French Open begins on May 24 and he believes he has enough time to make the proper adjustments. “It was a good week for me anyway to come here and practice with the best, play a couple of matches. At least gives me some information, if I'm trying to be a bit positive right now. “I'm going to go back to Switzerland and practice really hard, you know, from whatever the plan's going to be from tonight on until Istanbul. “This is good time I should utilise in the right way. I'm looking forward to that.